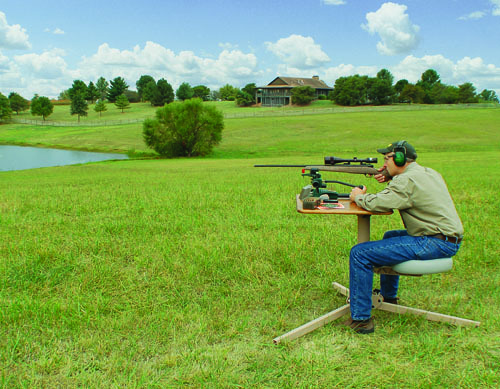 The BR Pivot® is the finest shooting bench available. 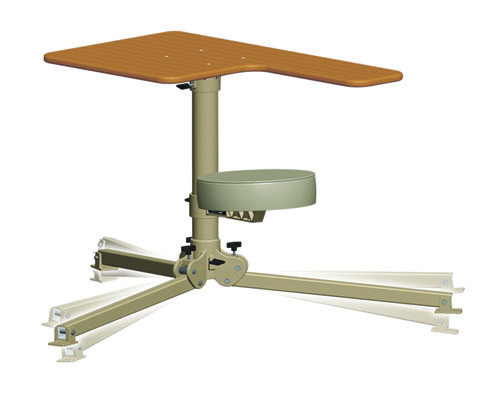 It combines the best materials, an unparalleled design and years of thinking, field use and continuous development into a complete package that is ready for a lifetime of service. 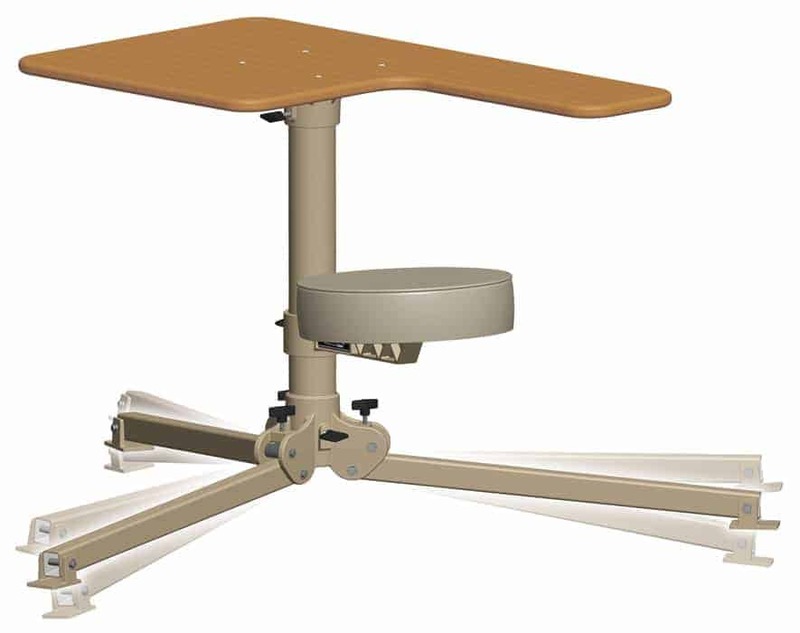 There’s nothing newfangled about the BR Pivot® – it’s bombproof, foolproof, and ready for users that are serious about accuracy. 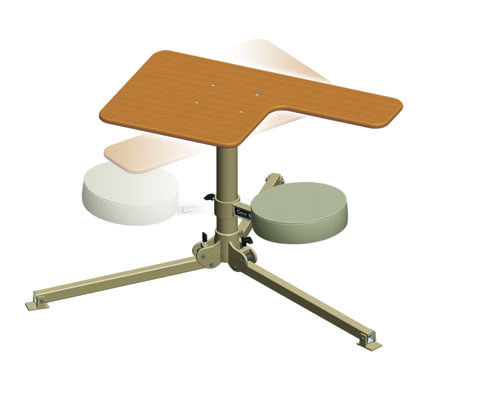 The “Pivot” part of the name references the most useful feature – use the bolts at the base of the bench to align the bench stem and tabletop so that the top is parallel with the horizon. 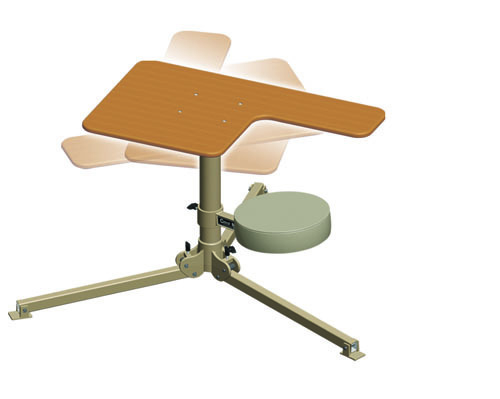 The seat and bench top then pivot on center and maintain a constant tabletop attitude. You can spin three hundred and sixty degrees to make shots and your tabletop will always be parallel to the horizon! 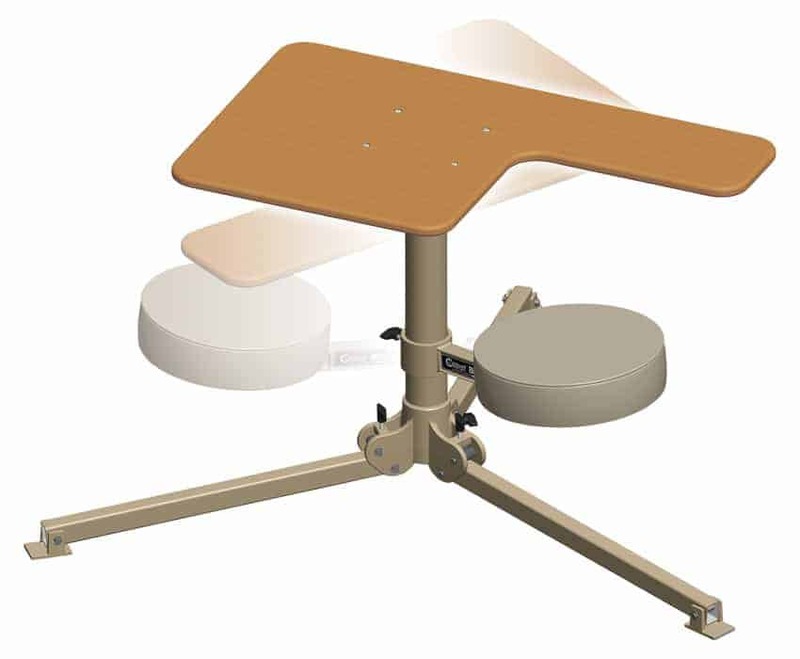 The padded seat can be adjusted for any height between 16” and 27”, and the pivoting function can be locked rigidly in a single shooting position if desired. 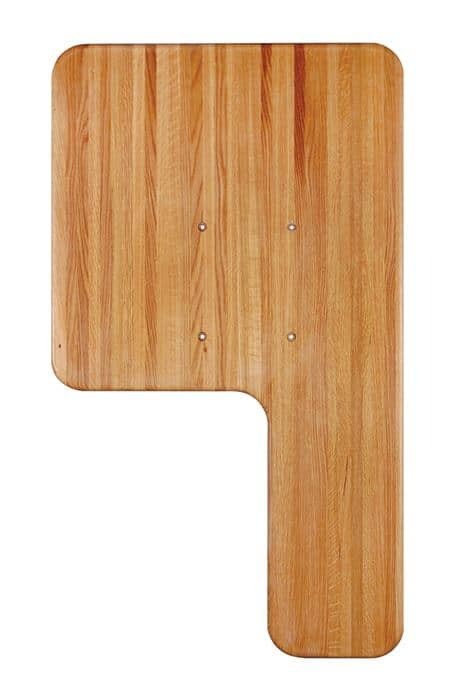 The top is made from edgeglued American hardwood with a durable finish; the top measures 45″”x 26″”. Butcher block top is attractive, traditional and functional. 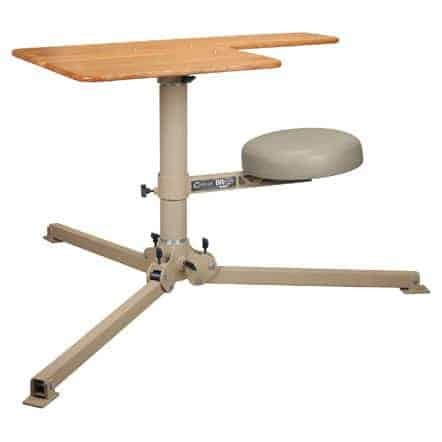 Particularly good for those who always use rests with spiked feet or users that live and shoot in dry climates. 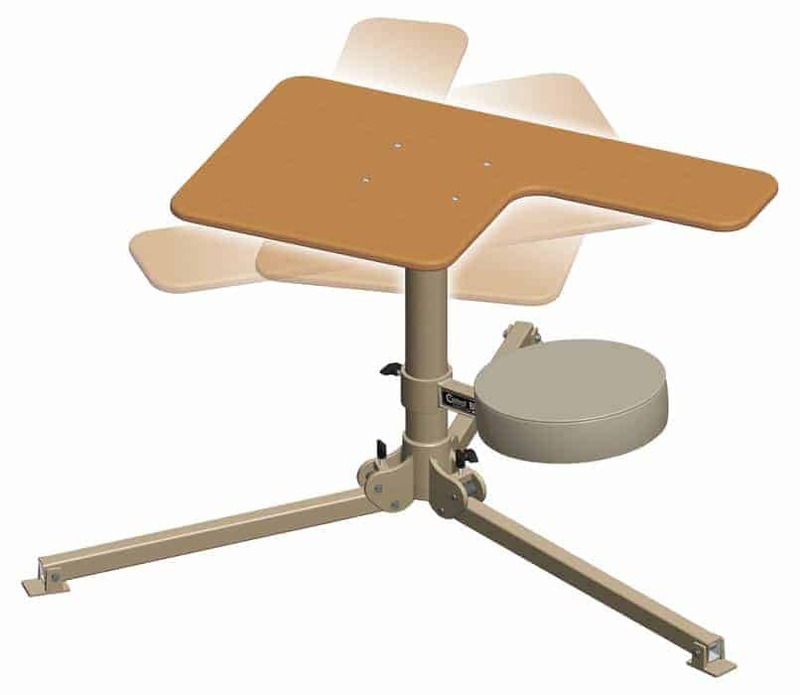 The wood top can be installed for right-handed or left-handed shooters. 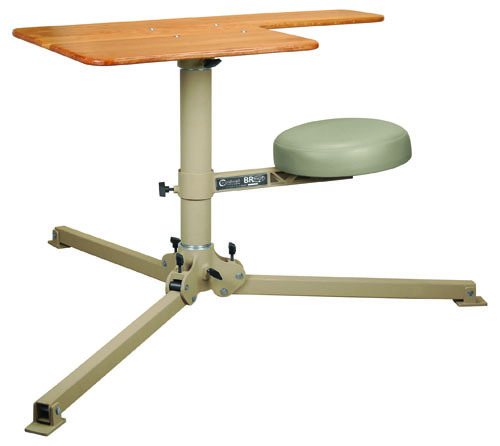 The bench breaks down into four pieces and weighs a total of 65 pounds when assembled. If you mean by offering such a great product? Then we just might be. My buddy and have owned this bench since it first came out. We paid way more than the current price. 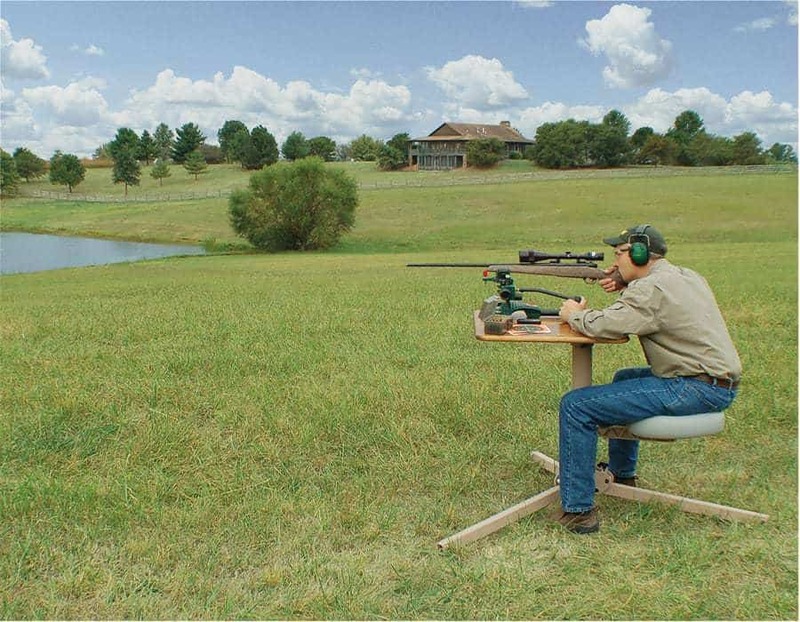 It has been the best purchase for prairie dog shooting along with a good rifle rest secured to the table. We also strap the gun down on the secured rifle rest. I can hold steady at any distance and swing around to a new target as needed. It’s the best I have used so far. Disadvantages…you can pinch your fingers in the legs as you set up and take down while moving to different dog towns.